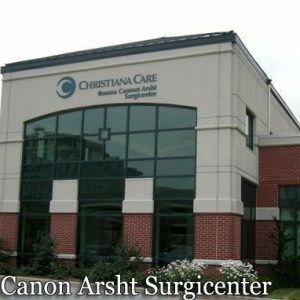 The Roxana Cannon Arsht Surgicenter, established in March of 2000, is a same day surgery center located in downtown Wilmington within close proximity to Wilmington Hospital. Anesthesia services are provided across a wide spectrum of surgical specialties although ophthalmology, podiatry, orthopedic, plastic, gynecologic, otolaryngology, minor vascular, and general surgery comprise the highest volume of cases. Anesthesia is delivered utilizing the Anesthesia Care Team approach in which an Anesthesiologist and CRNA collaborate to ensure safe and appropriate anesthesia care. We deliver a variety of anesthetics including general, monitored anesthesia care, and regional nerve blocks to provide our patients with the most favorable recovery from surgery and postoperative pain control. This surgicenter has consistently scored as one of the top two surgicenters of its size for outstanding patient satisfaction in the Press Ganey survey. The anesthesia services provided were also cited to be exceptional and were an integral part of the overall evaluation.